The unique mental health needs of students of color are poorly understood, and severely underserved. We are taking action. The Steve Fund is the nation’s only organization focused on supporting the mental health and emotional well-being of college students of color. The Steve Fund works with colleges and universities, outstanding non-profits, researchers, practitioners, and with groups serving diverse populations. We believe it is essential to support the development of knowledge and thought leadership, to create and share best practices, to connect scholars and practitioners, and to encourage and help professionals in campus mental health and student services to more effectively assist students of color. A critical pillar of our work is supporting programs for students of color that promote effective mental health strategies and practices. 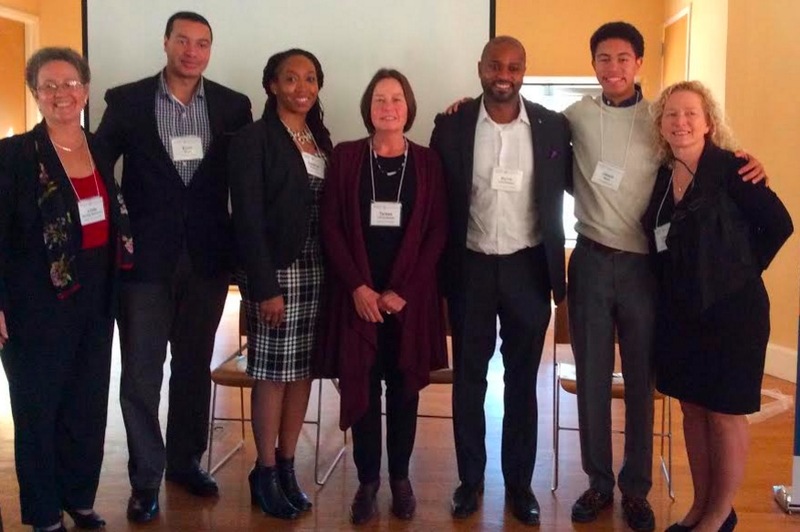 On November 20, 2015, the Steve Fund, a non-profit whose mission is to focus on the mental health and well-being of young people of color, organized a full day symposium at Stanford University called, Young Gifted & @ Risk. mental health needs of college students of color attending elite academic institutions. 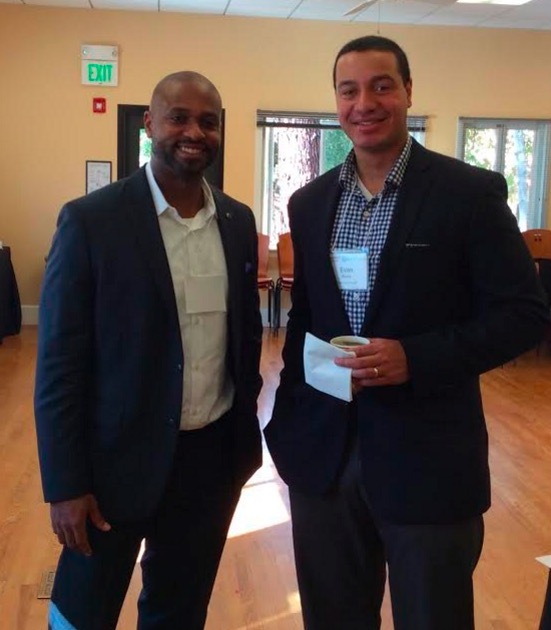 This program was supported by funds from the California Endowment and was co-sponsored by the Stanford Center for Comparative Studies in Race and Ethnicity (CCSRE), the Stanford Center for Opportunity Policy in Education (SCOPE) and the Department of Psychiatry at Stanford Medicine. The need for this conference is clear. The time between adolescence and early adulthood is a period of development fraught with stressful challenges. This period is also one in which common mental illnesses such as depression and anxiety have their initial onset. The experiences of college students of color in this age range who attend Predominantly White Institutions (PWIs) is compounded by additional risks associated with negative stereotypes, isolation, alienation and an environment with values often at odds with their cultures of origin. These conditions set the stage for and increase the likelihood of young people of color experiencing diminished mental health and well-being and sub-optimal academic performance. Thus, this initiative sought to elucidate these risks and challenges and offer recommendations that can be implemented by college administrators and leaders, educators, mental health professionals and families of students. Linda Darling-Hammond, Ed.D., Charles E. Ducommun Professor of Education, Emerita; Faculty Director, Stanford Center for Opportunity Policy in Education; Stanford University: Symposium Moderator. This dialogue has not emerged in a vacuum. Rather, it is a conversation occurring in a societal context of heightened racial tension and student activism. Universities around the country are facing student protests calling for the cessation of racist acts on campus and demanding the allocation of resources and implementation of services that support the mental health of young people who are marginalized in the university environment due to their racial, ethnic or cultural identity. The conference plenary panels centered around three major themes. The session on Marginality, Belonging and Success: the University Experiences of Students and Emerging Adults of Color, focused on a variety of challenges and obstacles facing students of color, some of whom are the first in their family to attend college. The heightened pressures associated with the intersectionality of being African American and male in the college environment were discussed. Non-verbal expressions of fear of black men based on negative stereotypes linked with race and gender exact a psychological toll on these students. Native American students are often invisible and left out altogether in considerations of minority status on college campuses. Their cultural beliefs and practices are at odds with the values and expectations that are part and parcel of University culture. The continued use of images of American Indians as mascots for sports teams in some institutions is reminder of racist practices that have found their way into college life. This example of cultural exploitation has the potential of contributing to psychological distress in Native students. The educational underpreparation of students from economically underprivileged communities who belong to ethnic and racial minority groups plays a role in creating additional stress. These students are challenged as they attempt to adapt and perform competitively in elite academic settings while simultaneously trying to avoid fitting the negative stereotypes of underperformance associated with being a member of a marginalized minority group. Pre-existing disadvantages such as financial hardship, the need to work long hours in addition to keeping up with studies and supporting families financially are pressures with which ethnic and racial minority students often contend. The importance of meeting students where they are, increasing engagement to support them and making deliberate efforts to decrease marginalization are essential. In the panel called, How Culture, Mindset, and Identity Shape and Affect Mental Health Among Young Adults, scholars explored comparisons of ideal vs. actual affect such as excitement and calmness and their associations with individualistic and collectivistic cultural tendencies evidenced by European American students and students of Asian descent, respectively. It was hypothesized that the increased stress experienced by college students of color could be handled by changing mindset and harnessing stress to seek out feedback and maximize growth potential instead of employing traditional stress management techniques. The benefits for Native students of traditional healing groups and digital storytelling were described. When a therapist of Native descent is not available, the importance that therapists of other backgrounds exhibiting cultural humility was emphasized. Cultural inclinations among Native students include the need to be seen, heard and understood as well as the need to give back to others. Acknowledging such preferences and providing opportunities for students to actualize these values should be pursued in the university environment. The discussion presented in, Promising Strategies for Mental Health on Campus and Beyond for Young People of Color, provided numerous insights for colleges to better serve the needs of students of color on campus. An appreciation of the characteristics and preferences of the millennial cohort was proposed as essential to meeting the needs of students of color in this age group. The need for customization, coaching and feedback were prominent and should figure into mental health services designed to meet the needs of young people of color. Inclusion of peers as a resource to support the well-being and mental health of students of color was also discussed. Themed dorms and designated spaces to convene same-culture groups of students and developed culturally tailored services for them were seen as valuable and providing a source of comfort, social support and cultural belonging. At the same time, colleges must provide opportunities for a “both-and” approach in which culturally-focused groups are fostered and simultaneously students are encouraged to interact with students of other cultures to prepare them for the world and to dispel some of the assumptions of racism and negative attitudes toward members of minority groups among members of the dominant group. One of the solutions showing great promise at the university level are educational services and resources designed to foster hope in students who are academically underprepared and develop strengths-based “goals in action” for them to work on with support from faculty coaches. In this way, students focus on addressing the obstacles rather than considering themselves inadequate. A caveat was presented to be careful to individualize students and not assume that all students of a given race hold the same strength of cultural identity and not to concentrate excessively in the aggregate. A student response panel gave credence to the challenges and beneficial approaches discussed by scholars and researchers. A student of Mexican descent spoke of the pain generated by derogatory statements made by classmates about her Hispanic community. One student of Nigerian descent emphasized the need to be conscious of within group diversity among racial and ethnic groups and not to assume that one size fits all as evidenced by the differences in cultures of African Americans and Nigerian Americans. A student of Native descent expressed a preference for framing students of color in a positive light as opposed to one too focused on “at risk” status. Recommendations included utilizing peers to foster giving back and a community approach. Supporting well-being among students of color was emphasized and creating an environment in which seeking help is seen as positive and is accessed early on when problems first present rather than later on after they have the chance to cause more damage. 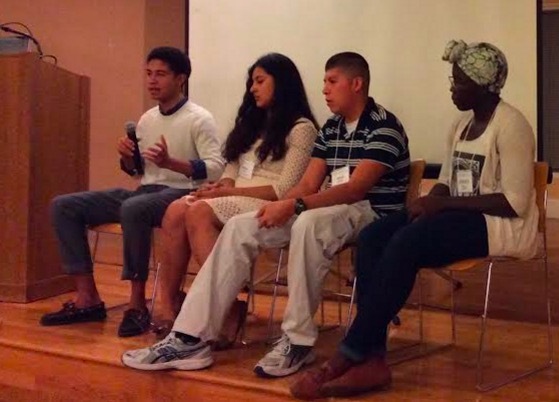 Having counselors and mentors which reflect the cultural groups of marginalized students was seen as valuable. A student of African American descent suggested that colleges should celebrate diversity in order to foster in the entire student body familiarity and pride in all cultures. 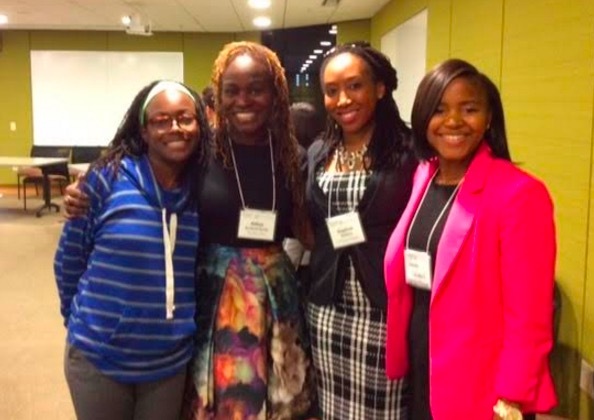 The Young, Gifted & @ Risk program began a dialogue between college administrators, educators, mental health professionals, families and students which underscored the importance of being conscious of the societal and institutional pressures on college students of color that threaten their mental health, optimal academic performance and emotional well-being. 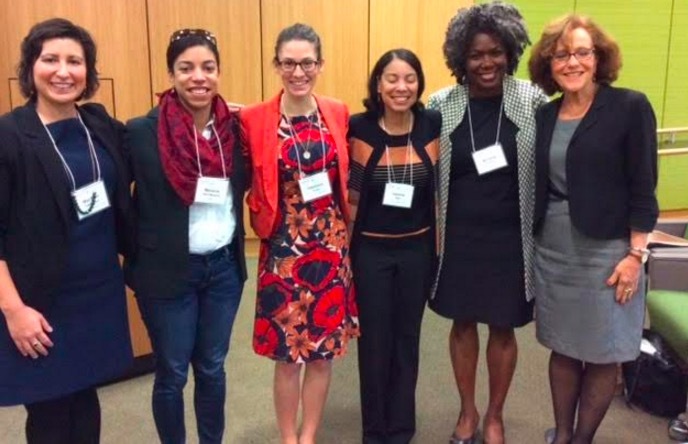 Attendees were enlightened by several recommendations designed to employ an array of protective factors to buffer, mitigate or eliminate the risks to well-being and academic success and promote implementation of proactive, thoughtful and intentional initiatives on college campuses that will create for students of color an equal chance for mental health.